Since the beginning of its activity in1989 AOS is editing and publishing the handbook ‘Current Regulations in the Environmental Protection and Project Development”. This handbook is a constantly updated compendium of knowledge about the new legal regulations and modifications to the regulations existing so far. 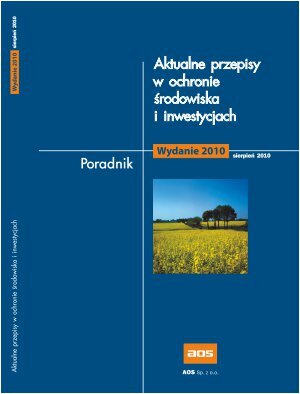 Descriptions and comments included in the handbook, as well as the templates of the documentation used in the administrative procedures are a valuable concise help, both for public administration employees, as well as for specialists in the field of environmental protection and investment project preparation and implementation. Handbook is available on subscription.